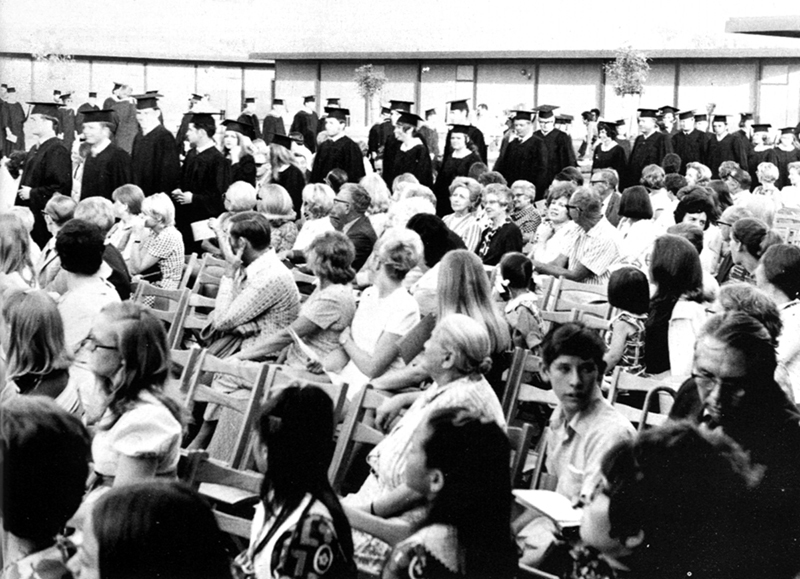 Eighty-nine students graduated from College of the Canyons in 1971 and participated in the first on-campus graduation ceremony. 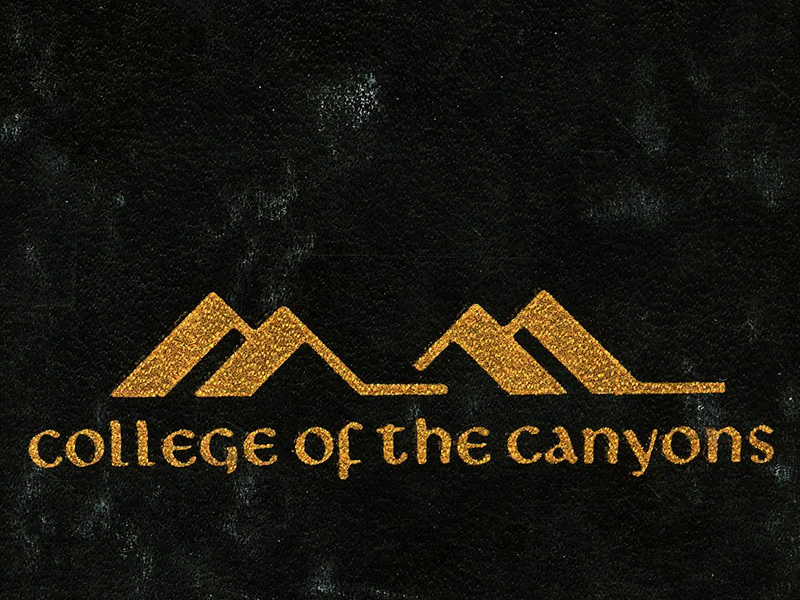 COC's first academic year, 1969-70, produced 16 graduates; they had attended classes on the campus of Hart High School in Newhall. By October 1970, modular buildings had been erected at COC's permanent Valencia campus. Some of those buildings can be seen in the background of this outdoor ceremony.